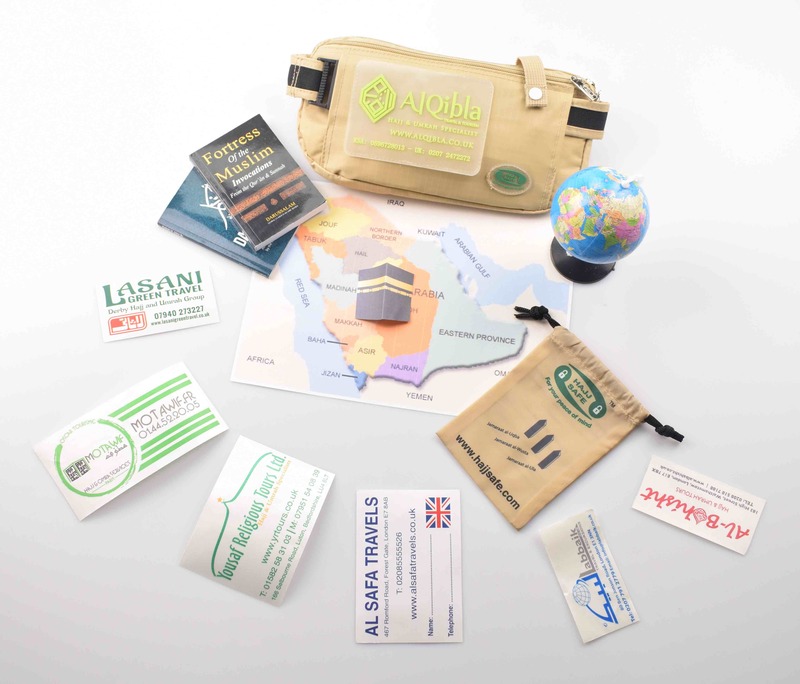 Hajj Safe is giving the opportunity to Hajj & Umrah Companies to have their own Company Logo on the unique Hajj Safe products. Pilgrims will feel safe and keep all there belongings secure. 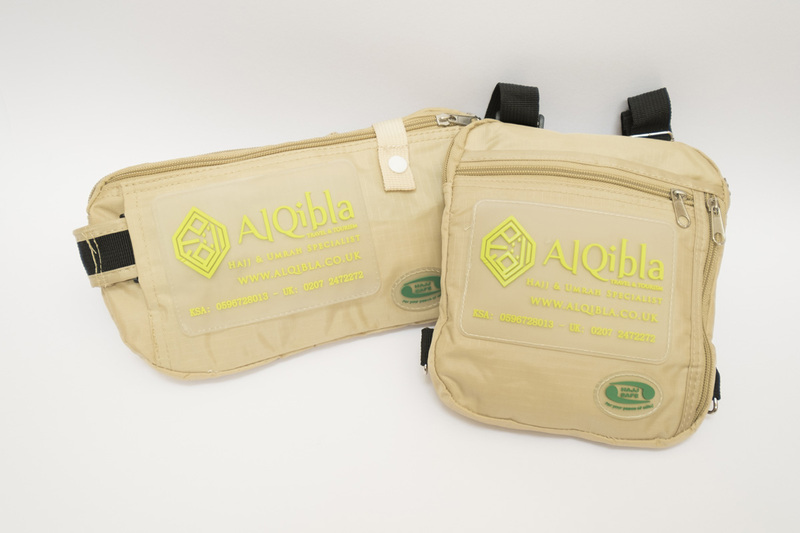 Why should I place my company logo on Hajj Safe products? Hajj Safe is a very strong brand Internationally. Your company will be associated with a high end product making your company look more prestigious. 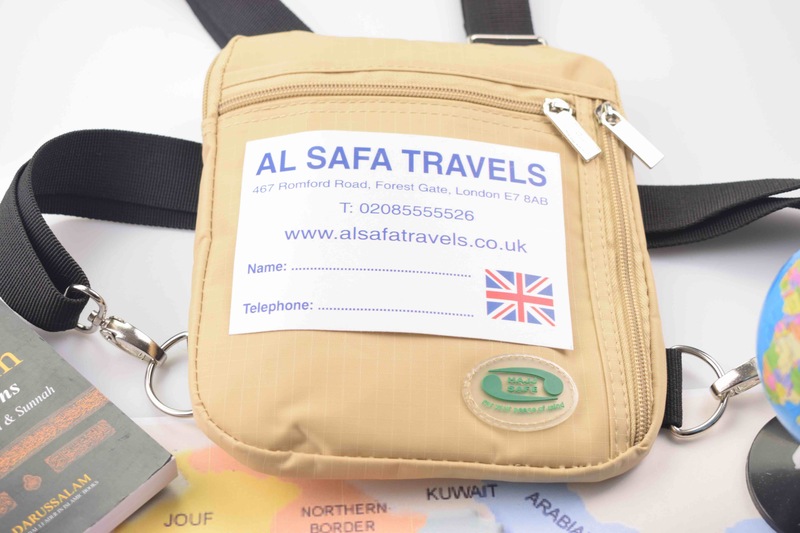 We at Hajj Safe are dedicated to providing you (Pilgrims & Travellers) with products and services that will keep you and your belongings SAFE & SECURE while you are on one of the most life changing pilgrimages you will ever make, that is Hajj or Umrah. Our products are designed and manufactured with INNOVATION, QUALITY and SAFETY in mind. 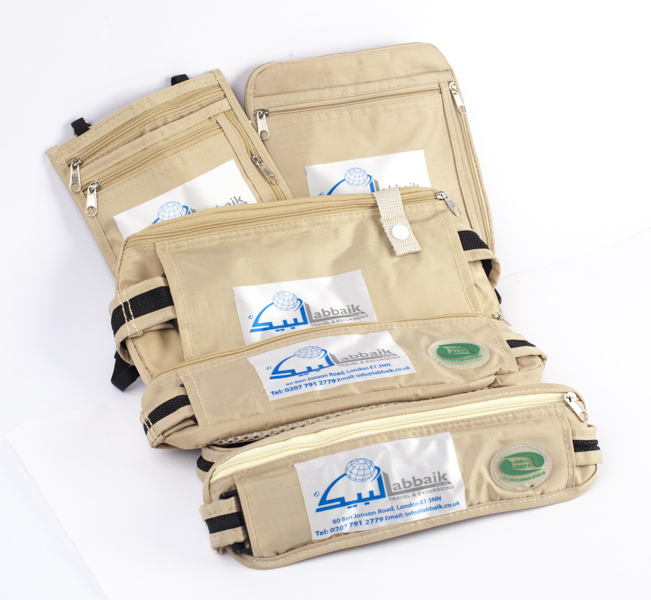 Hajj Safe Designs & Manufactures all its products, these are unique products for Pilgrims going for Hajj or Umrah. Hajj Safe products are exported all over the world. Hajj Safe - for your peace of mind. 1. Waist strap and bag is wire reinforced and slash proof. 4. Strong Water resistant material. 5. Secure Mobile phone pocket. 6. Secure pocket to carry your passports and tickets. 7. Secure pocket to keep your money. The discount given to Hajj & Umrah companies is dependent on the quantity you take and which product you are interested in. Please contact us to find out the costs involved, we will give you excellent discounts.